Pre-paid cash card is a rechargeable stored value smart card used to transfer electronic payment in online or offline. It is a very convenient smart card which is widely and commonly used by everyone to settle payment in ease. The concept of ‘touch and go’ with the pre-paid cash card has made our lifestyle easier especially for those with busy and hectic lifestyle. In Hong Kong, there is the application of a pre-paid cash card called the Octopus card. 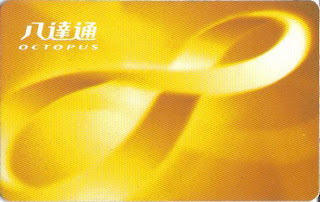 This Octopus card can be used in virtually all kinds of public transports in Hong Kong since 90% of the daily journeys of Hong Kong citizens are on public transport, making it the highest in the world! Commonly used public transport includes trains, buses, trams, ferries and minibuses. Besides it also used for the payment at convenient stores, supermarkets, fast food restaurant, on street parking meters, car parks and other point-of-sale applications such as service station and vending machines. 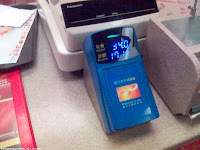 The examples of shops that accept the card are PARKnSHOP, Wellcome, Watsons, 7-Eleven, Starbucks, McDonald and CIrcle K.
Besides, in MTR stations, enquiry machines can be found where cardholders may place their Octopus cards on the machines and the machines will display the balances along with a history of last 10 usages. Monetary value can be added to the card through a number of ways. 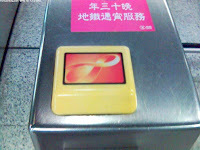 There are Add Value Machines, located at MTR stations, can be used to add more value to the cards. The machines accept cash, and selected machines are also able to accept Electronic Funds Transfer. Alternatively, value may be added with cash at authorised service providers such as PARKnSHOP, Wellcome, Watsons, 7-Eleven, Circle K, and Café de Coral, and also at customer service centres and ticketing offices at other transport stations. The Octopus card has been internationally recognised, winning the Chairman's Award of the World Information Technology and Services Alliance's 2006 Global IT Excellence Award for being the world's leading complex automatic fare collection and contactless smartcard payment system, and for its innovative use of technologies. Therefore it is very efficient and convenient for customers who purchase this Octopus card, with one card, everyone can settle their payments without the traditional ways of coins and notes.